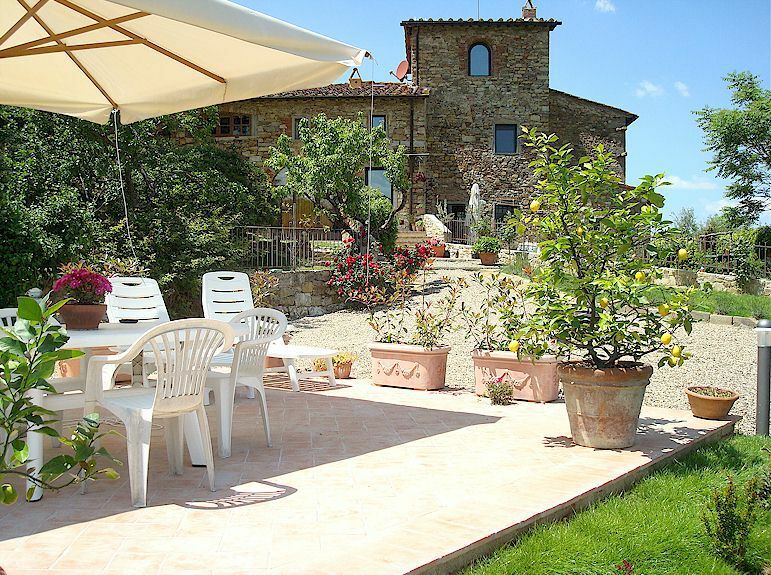 Today we feature Hotel Villa Le Barone, a wonderful luxury hotel in Chianti located in the middle of the Chianti Classico wine zone of Tuscany near Panzano and Greve, midway between Florence and Sienna. 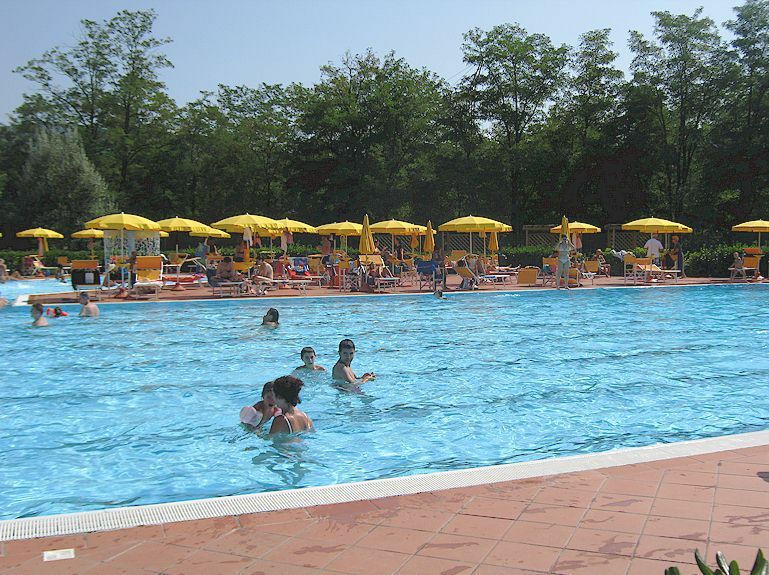 This is a 4 Star luxury hotel set in beautiful gardens, with a swimming pool and tennis court. For centuries, Villa Le Barone was the main villa of a large farm and belonged to the Della Robbia family of Tuscan painted terracotta fame. 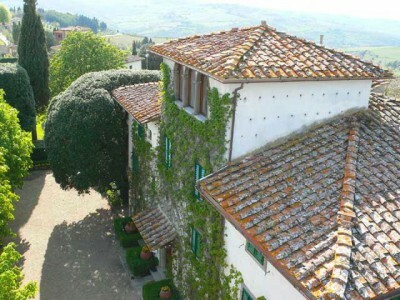 View of the main villa of Hotel Villa Le Barone luxury hotel in Chianti. During the early part of the 20th century, Villa Le Barone was converted into a luxury boutique hotel, retaining the atmosphere and also a great many of the furnishings of former times. 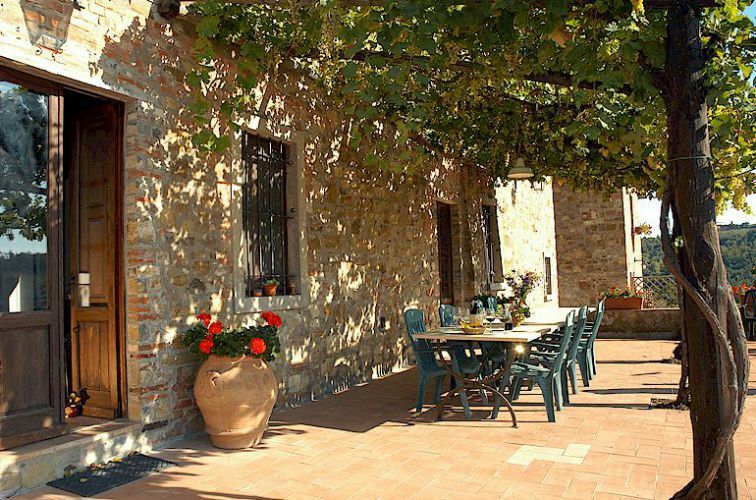 The rooms are beautifully furnished in antique Tuscan country style and have free internet access, satellite TV, a mini-bar and air conditioning. Breakfast (a highly varied buffet), lunches and dinners are available in the hotel restaurant, which is located in the former winery, and on the adjacent terrace. Lunches are also served beside the pool. 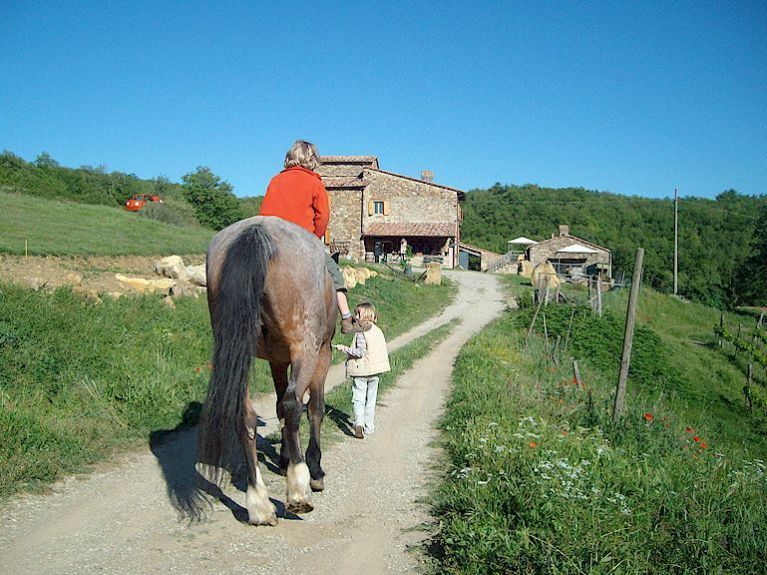 Great attention is given to preparing meals at Hotel Villa Le Barone – fresh ingredients, top quality Tuscan products. 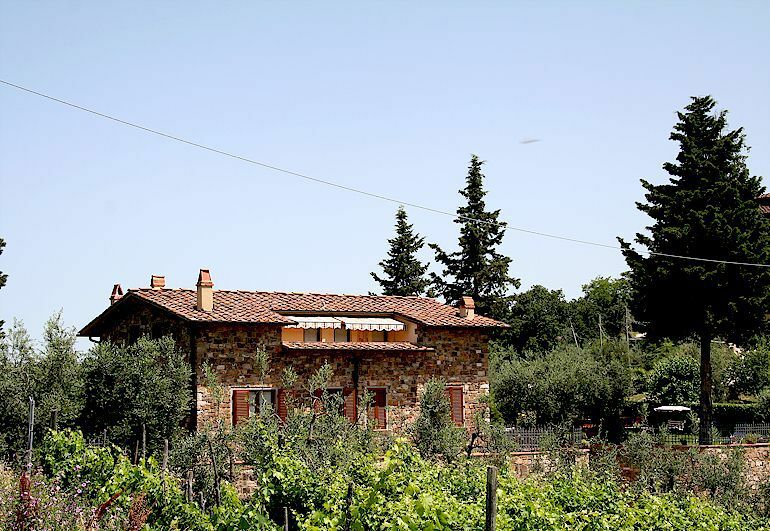 The best Chianti wines are available from the hotel cellar. 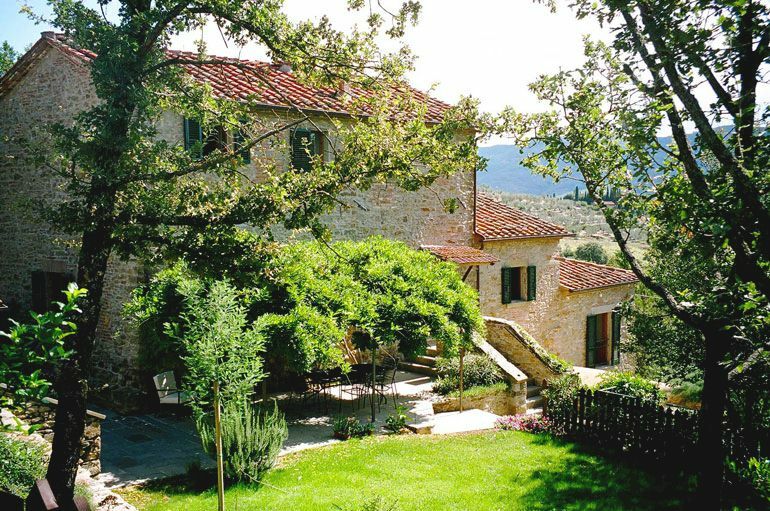 For comfort and tranquility in the middle of Chianti, it would be hard to beat Hotel Villa Le Barone. More about this boutique villa hotel in Chianti.